As the holiday season approaches, the corporate world prepares for the single most lucrative quarter of their financial year. People from all walks of life come together to exchange gifts and share new and traditional experiences with their loved ones, and, regardless of their background or beliefs, the holidays are a “religious/magical experience” for the masses. As traditional as it is to see Santa Claus at the mall and for many to decorate a tree for the holidays, so, too, is The Nutcracker experience for millions of families across the United States, generation after generation. Fifteen years ago, I stumbled into the ballet world as a financial consultant, charged with developing a sustainable business model for a ballet company in distress. After studying the structure of the company in comparison to its peers, the common thread was that The Nutcracker was, in almost all cases, the highest earning and sometimes the only performance in any season that made a profit. It was clear that the earnings from The Nutcracker performances directly dictated the content of the rest of the season in terms of what could be afforded. When a company deviated from that reciprocal relationship by putting on other productions that cost more than the net earnings of The Nutcracker production, they would certainly experience a deficit season, which could only be remedied by major donations. The Nutcracker is the prime example of having all your eggs in one basket, which is a nightmare to any business analyst who values spreading the risk. I was skeptical of how this could possibly be sustainable. Then I got into the data. The recurring theme was that there was overwhelming demand for it, everywhere. And this assuages the risk. Therefore, dance company leaders are challenged to ensure that the demand for this production remains not only a traditional experience, but one that is relatable, even as the world and popular entertainment changes. Dance/USA has conducted its Nutcracker Survey every year since 1992 on its member companies and last reported on the state of The Nutcracker in 2008, summarizing how companies were doing for the previous 10 years. The year 2008 was a difficult one and saw modest declines in revenues of 1.9 percent in place of the typical 4 percent annual increases that were experienced in prior years. To weather the difficult economic period, ticket sales remained flat. Managers anticipated the declining number of attendees and the hit they would take to the performance revenue, which represented between 22 percent to 25 percent of their total season revenues. They further moved to leaner operations to cut expenses through less market spending and, in many cases, compromising the live music element by performing to either smaller orchestras or no orchestra at all and using tape. It was a difficult time. Dance/USA’s most recent Annual Financial Survey (2017)1, shows that Nutcracker/holiday revenue now represents an average of 48 percent of the surveyed dance companies’ overall season revenues and a median of 55 percent. As a percentage of total revenues, it represents an average and median of 15 percent. The data indicate that Nutcracker has not only rebounded, but that the dependence on the success of Nutcracker has more than doubled since 2008 as it relates to a dance company’s overall season. Nutcracker ticket sales amongst survey respondents represented $51M in 2017 versus $30M in 2008. Dance companies have had to add, on average, two more performances per season to meet the demand, which is a 29 percent increase in number of performances. Attendance has increased by 14 percent, or more than 83,000. Average ticket prices have almost doubled since 2008 and attendance has increased. Marketing spend as a percentage of ticket sales has remained at 10 percent to 12 percent on average. The results are astounding but represent a double-edged sword. On one hand, The Nutcracker has rebounded and is doing better than ever in most cases. On the other hand, there is so much financial dependence that the pressure to remain profitable and relevant is now more imperative than ever. Dance companies must consistently assess and evolve their Nutcracker as it relates to their audiences, demographics and geographic locations, to ensure continuing audience growth and retention. While many companies perform George Balanchine’s version of The Nutcracker, great choreographers like Rudolf Nureyev, Mikhail Baryshnikov, Alexei Ratmansky and Matthew Bourne have all created their own versions, which have been widely received. Artistic, political and social agendas over the years have significantly affected the type and version of Nutcracker that each company produces. I don’t believe in 15 years of seeing The Nutcracker across the country, that I have ever seen the same version twice. Every artistic director added his or her personal stamp on the ballet. Deciding to change a company’s Nutcracker is not for the faint of heart. A brand-new Nutcracker for a small to mid-sized dance company (budgets $3 million or greater), can cost anywhere from $2 million or more, depending on the scope of the production. It is a considerable investment and not one that any struggling company should undertake. Dance leaders that feel the need to make a change should consider the catalyst for change first and foremost. Maybe they don’t need a whole new Nutcracker, because their production is being received very well; perhaps they simply need a refresh. If so, then a small campaign for new sets and costumes is all that is necessary. Alternately, simply augmenting or changing the choreography, could be another less expensive solution. Often, a shift in artistic leadership could drive the change, but only if the organization has a solid financial foundation. If, however, the organization is facing declining audiences or ticket sales, then it must seriously consider an entirely new Nutcracker or another holiday production. There are companies in some cities that present other holiday-themed productions that take the place of Nutcracker based on audience preference. 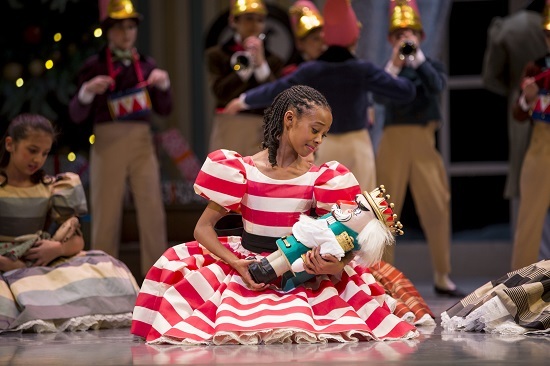 The trend continues as more and more dance companies explore their own artistic vision of The Nutcracker in response to moving the art form forward and the need to be more inclusive and diverse. From the introduction of the Nutcracker to the American stage 74 years ago to today, it has become undeniably a tradition to both ballet aficionados and general theater audiences. The Nutcracker is predominantly how most people are initially introduced to the art of dance and theater. It is often the first moment that a little girl or boy dreams of becoming Clara or the Nutcracker Prince. That first seed planted in the imagination of that child has led to some of the world’s greatest performers, whether they make their careers in dance, music or theater. It has become the foundation of multiple generations of performing arts supporters who return year after year with their families to see the magic that is The Nutcracker. That, if nothing else, is why The Nutcracker will never die. The past 20 years of data have shown it is sustainable if we are prepared to adapt to the ever-shifting changes in our world, cities, cultures and time. So yes! Nutcracker again! Long live The Nutcracker! 1 Dance/USA Annual Financial Survey 2017, surveys Dance/USA’s professional non-profit dance company members; 23 of the 27 U.S. dance companies surveyed reported annual budgets of $3 million or more. 2 For information on Dance/USA’s research and statistical findings, please email: research@danceusa.org. As former CFO and interim executive director of The Washington Ballet and business manager/director of finance for Orlando Ballet, Shakira Segundo has spent the past twelve years serving the dance industry. Collectively, Segundo has more than 17 years of experience in leading nonprofits and corporations through complex accounting, finance, operational and cultural restructuring. She holds master’s degrees in accounting and finance and her undergraduate degrees in information technology and tourism management. Segundo has an extensive background in financial reporting, financial controls, information systems management, human resource management and regulatory compliance. 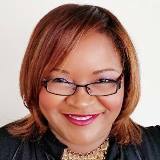 Segundo is the founder and CEO of Segundo Strategies, LLC, a firm that works with small to mid-sized businesses to enhance, fine-tune or restructure their strategic, operational and financial position. Photo #1: Pacific Northwest Ballet School student Samrawit Saleem as Clara in a scene from George Balanchine’s The Nutcracker®, choreographed by George Balanchine © The George Balanchine Trust. Photo 2017 © Angela Sterling. 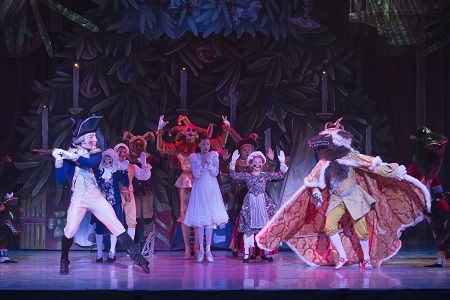 Photo #2: The Washington Ballet’s Nutcracker is unique to its hometown history, set in Georgetown and featuring King George III as the Rat King, George Washington as The Nutcracker and sets that evoke images of the Washington monuments. Photo: media4artists, Theo Kossenas. 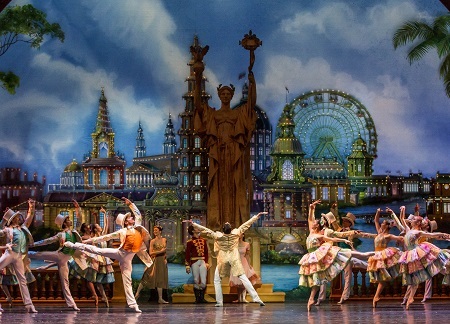 Photo #5: The Joffrey Ballet’s Nutcracker is set in Chicago’s 1893 World’s Fair. Photo: Cheryl Mann.